The field of Material Deposition is extremely broad and encompasses a host of widely varying technologies and associated manufacturing processes. XACTIV is the leading independent technical authority on the controlled deposition of dry powders and toner materials. As a technical consulting and product development firm that has historically been dedicated to serving the digital printing and reprographics industry, XACTIV has been actively creating processes, sub-systems, and products to deposit powder-sized materials since the company’s inception in 1986. The powders employed can exhibit a particle size on the order of a few tenths of a micron or less. 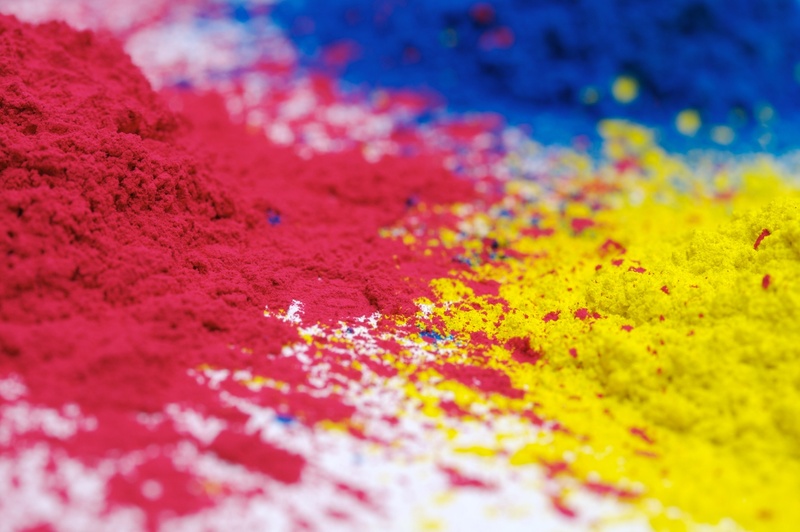 The dyes and pigments used to provide colorants in liquid ink and dry powder-created images are also materials suitable for image-wise deposition. What has often been mistakenly thought of as the “liquid ink” or “dry toner” of a printing system has actually been the bulk carrier or transporter of the more functionally important imaging components of the material. In developing methods to controllably deposit unique materials, the biggest challenge is optimizing the properties of the unique material to be deposited while simultaneously not altering the original and important functional properties of that material. To mitigate this problem, XACTIV has developed exclusive technology, know-how, and Intellectual Property (IP) directed at separating the functional properties of a unique material from the properties of the material required by the deposition or patterning system. XACTIV has gained the extraordinary capability to digitally deposit functional liquids and/or dry powders onto two and three dimensional surfaces.